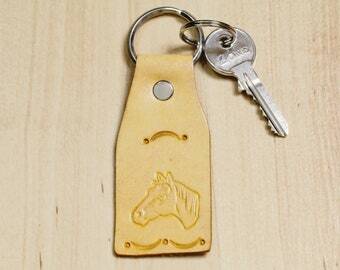 Know someone who is always losing their keys? 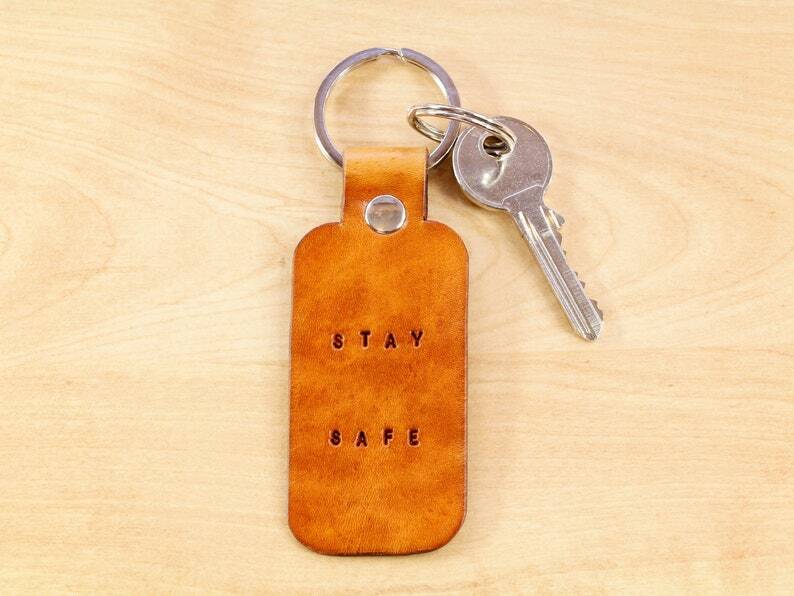 This meaningful Stay Safe leather keychain solves the problem stylishly and is a thoughtful gift for anyone who is precious in your life!! 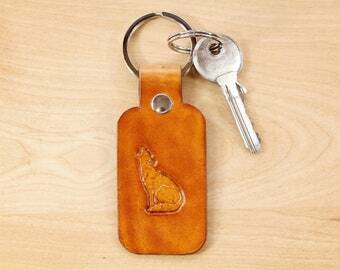 The leather key fob is handmade from premium quality leather and has individually hand stamped lettering. It is hand dyed brown on the front and on the reverse. 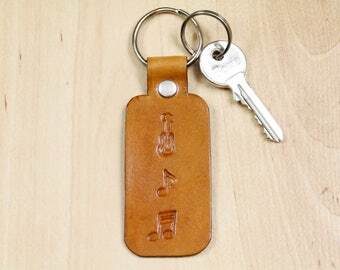 Classic leather keychains with a modern twist!! 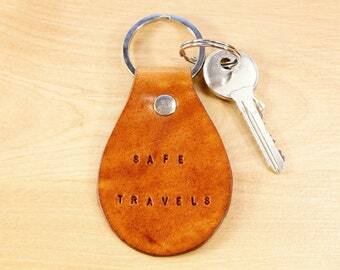 Very stylish, strong and secure 1.25" metal flat split ring and metal rivet for added peace of mind. 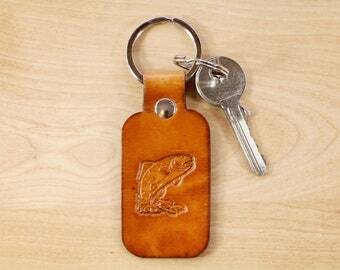 Length of leather approximately 3 & 5/8 inches (9.5 cm). 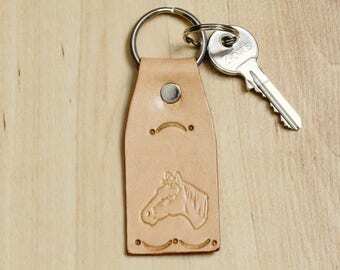 Overall length with ring approximately 4 & 6/8 inches (12 cm).